March 1 - can you believe it?! I feel like it was just Christmas... but alas, spring is around the corner. And yes, I just used the word "alas." 2011 has brought lots of fabulousness around the web so far - let's check it out! Bringing someone flowers? 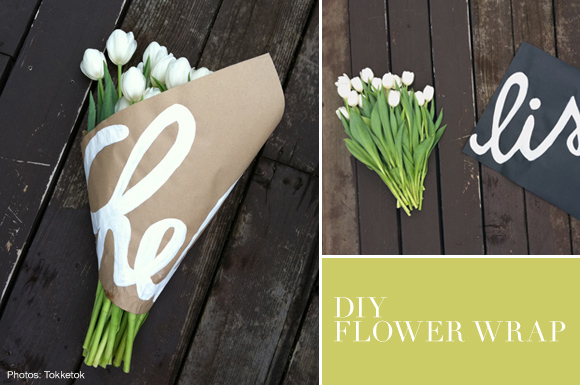 Wrap a bunch in craft paper and personalize it for an extra touch! Seen here on At Home with Kim Vallee. 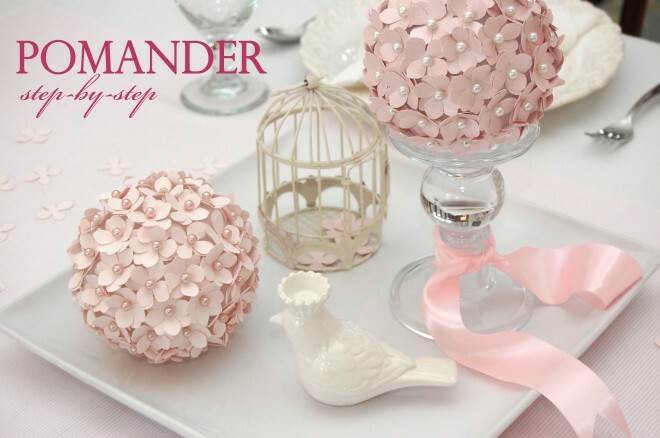 I ADORE these DIY Paper Pomander balls shown here on Pizzazerie. These are a perfect way to achieve flower pomander balls without spending gobs of money on real flowers. You also make tissue paper flower balls to achieve the same look! Remember those "dirt cakes" with crushed up oreos, ice cream and gummy worms? Serve them up in adorable planters for your next party like Save the Date for Cupcakes did! 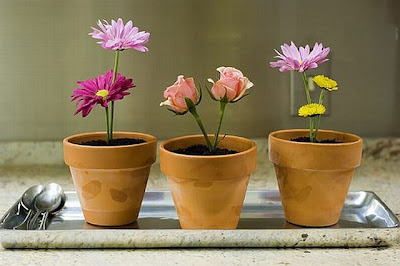 So adorable and creative and PERFECT to welcome in the spring months! 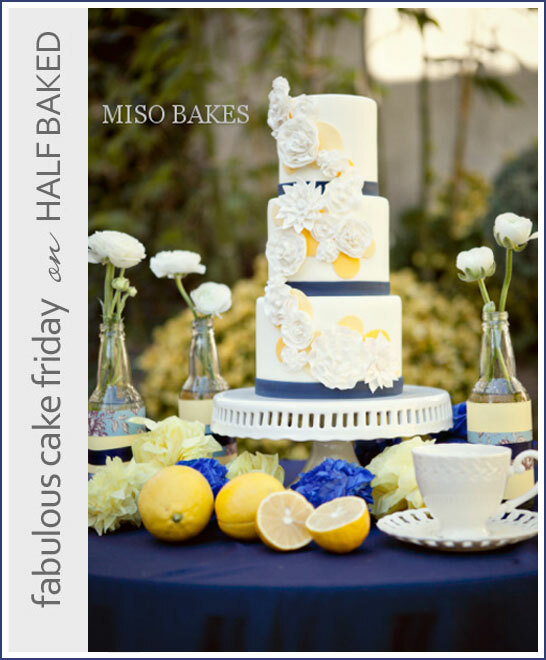 Here is another great cake from Half Baked created by Miso Bakes. I love the navy and blue color combination, but I especially love the decor on the cake table. The lemons and flowers are such a great touch! It's seriously a PERFECT cake for a summer wedding! I heart rosette flowers....on sweaters, tshirts, Carrie Bradshaw style, whatever. 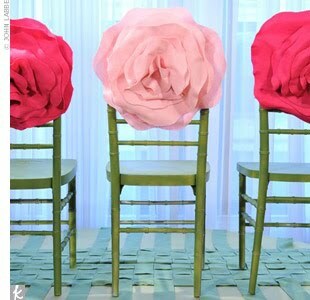 So when I saw these over sized rosettes used as chair decor, I was smitten! 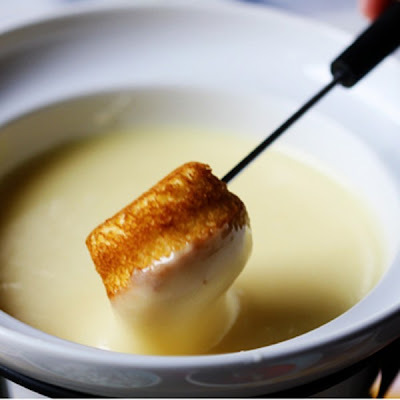 Everybody loves fondue, right? How about CUPCAKE fondue?! Seriously, stop it, I have cuteness (and sugar) overload. 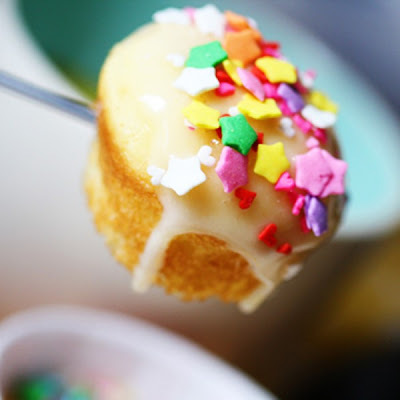 How perfect would these little mini cupcakes and frosting fondue be for a party? 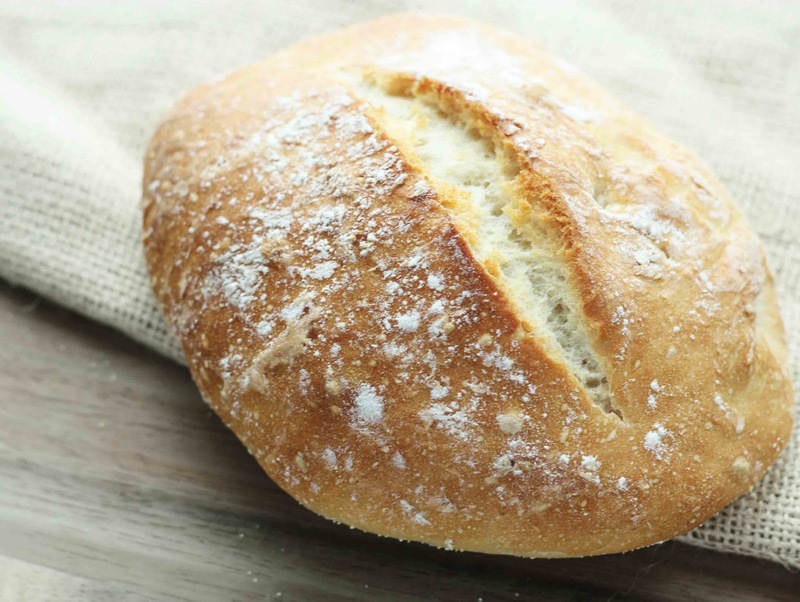 This sweetly ingenious idea comes from Bake it Pretty (the site is currently down for maintenance, but be sure to check back - it rocks!). You can read more about this idea on The Sweetest Occasion's post. And finally, for a recipe I was too SCARED to make. Not because it looks hard, but because it looks so amazing I am afraid I will eat the entire batch. 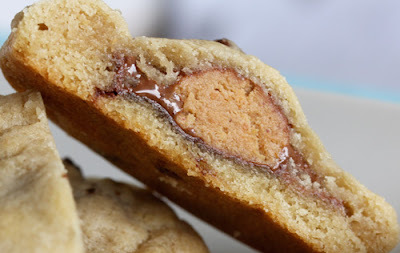 Check out these delicious looking peanut butter and chocolate chip treats With Style and Grace whipped up. A Reeses cup inside a chocolate chip cookie? UMMMM yes please. Now do you understand my fear?! Finally, something else fabulous happening in 2011?! A new website and blog for Jackie Fo! I plan to debut my new site and blog within a week or so... so bear with me as I make this transition. I will be sure to give you all the information you need to come along with me to my new corner of the Internet. Have a fabulous week and Happy March! Oh you did find some fabulousness...great finds! 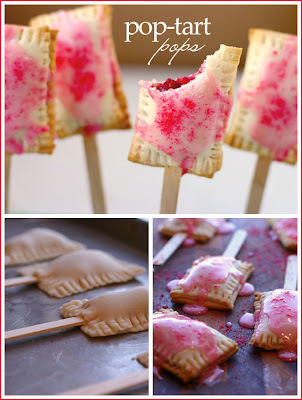 Oh man, those Pop-Tarts on a stick are genius! What a fun idea for a kids party. Oh my. There are too many wonderful ideas here. I'm definitely all over the pop-tarts on a stick idea. Tasty and cute! But the peanut butter cookies? H-E-A-V-E-N. I've been so good lately, but now I really want to make those! eek! can't wait to see the new website!